Looking for a little added colorful fun for Easter? These colorful deviled Easter eggs were a HUGE hit last year! Deviled eggs (& great grandma’s potato salad) are a family Easter meal tradition for us. And, dying the eggs made it even more fun! Really, making these isn’t too much different than when you dye eggs in the shell. 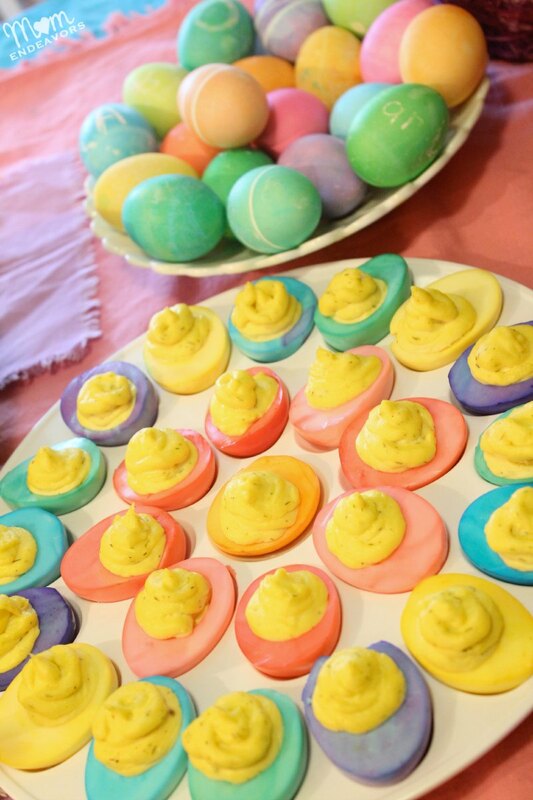 The KEY difference is that you MUST use food coloring (not just any old egg dye). To make these, you’ll need some hard boiled eggs. Remove the shells & cut the eggs in half. Take the yolks out & place in a bowl. Then, just like dying Easter eggs, you’ll need some bowls or glasses (1 for each color). Fill each glass/bowl with around 1/2 C to 1 C of water and 3-5 drops of food coloring (remember, food safe, not egg dye kit stuff). You can try add a teaspoon or less of vinegar to get the eggs more vibrant, but it might alter the flavor/consistency of the egg (especially if you are leaving the eggs in the dye for a bit). 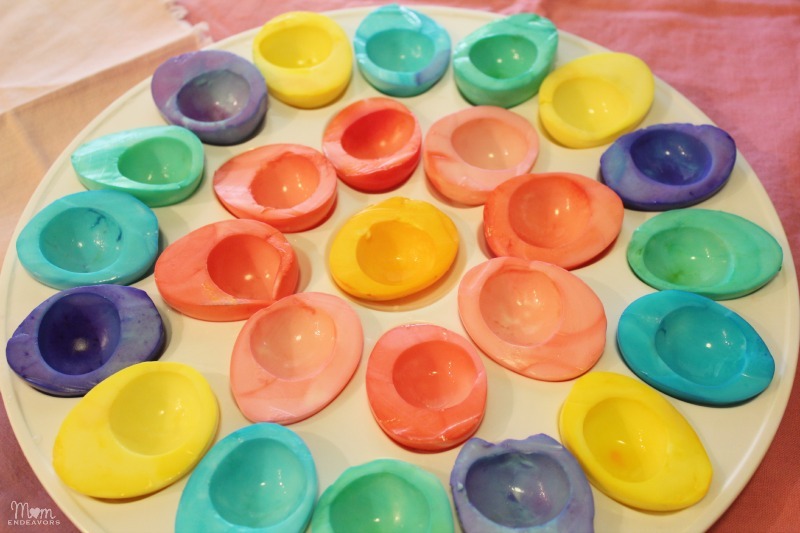 Drop the egg halves into the color cup of your choice and let them sit until the egg whites are your desired color (the longer you let them sit, the brighter the color). Once you take the eggs out, be sure to let them dry and dab off any excess liquid. Then, you just fill each egg half with the deviled egg mixture! Now, if you’re like me, you actually don’t really follow a recipe for deviled eggs. I usually just mix some mayo & mustard with the yolks until we’ve reached the desired flavor & texture. I tend to start with maybe just two tablespoons or so of mayo (or Miracle Whip) and a teaspoon of mustard, then continue adding as needed. Plus, I add a pinch of salt & pepper to taste! Sometimes a little dill makes a tasty addition as well! To fill the eggs, I put the yolk mixture into a baggie (with the corner snipped) or a piping bag. Easy & delicious!!! 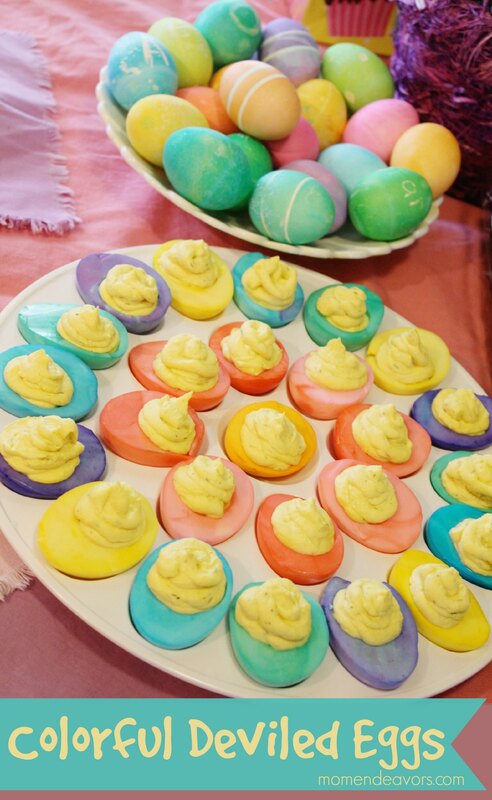 If nothing else, these deviled Easter eggs certainly make the Easter table more colorful! Do YOU have deviled eggs for Easter? 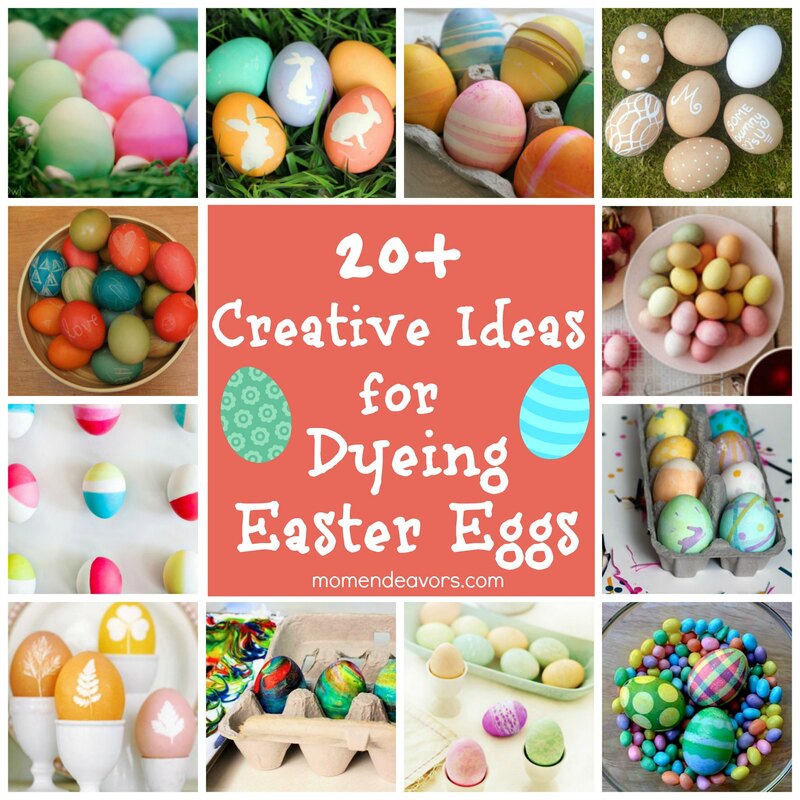 Looking for more egg-dyeing fun? Check out this post with all kinds of great ideas!